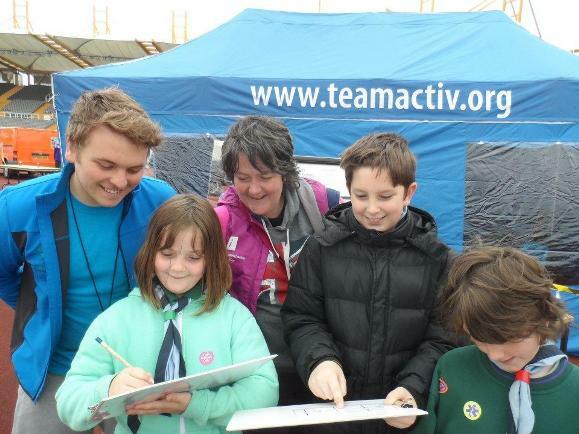 Scouts from across South Yorkshire had their fun mapped out when they took part in an orienteering challenge led by Barnsley not-for-profit Team Activ. Team Activ, which provides sport opportunities to schools, businesses and communities, had been asked to run an orienteering challenge at the recent Scoutastic event at Don Valley Stadium. A total of 2,000 people attended the day-long event taking part in 75 different activities. An incredible 650 people tested their orienteering skills on a specially designed course at the mothballed venue. “Scoutastic was a fabulous family event and it was wonderful to see so many young people trying sports they’d never tried before. This is the kind of activity Team Activ organises day in and day out in Yorkshire schools.